Tania Withers is used to making her clients get down and dirty, but recently she took that to a whole other level! Tania’s a personal trainer at Auckland Council’s Sir William Jordan Recreation and Fitness Centre in Onehunga, managed by YMCA Auckland, and making her clients fit is what gets her blood pumping. Tania runs an 8 week weight loss challenge for ladies called ‘Life-Style’ that sheds those extra pounds, and, crucially, also gets her ladies healthy and active. This is now the third programme that Tania has run, so she’s well into the swing of things. The end of every Life-Style group finishes with a big bang, but this time Tania went for the biggest bang yet! She decided she would push her group to the limit by signing everyone up for the “Tough Guy & Gal Challenge.” Like the name suggests, you do indeed need to be a tough guy or gal to make it through this gruelling army-styled challenge! Thick, foot-squelching mud is in abundance; every person needs to push their way through it and over a variety of obstacles – which means running, walking, pushing, climbing, and even crawling, all while smothered in mud. Tania says that this is the fourth Tough Guy & Gal Challenge that she has done, “but this year’s challenge was definitely the most fun. 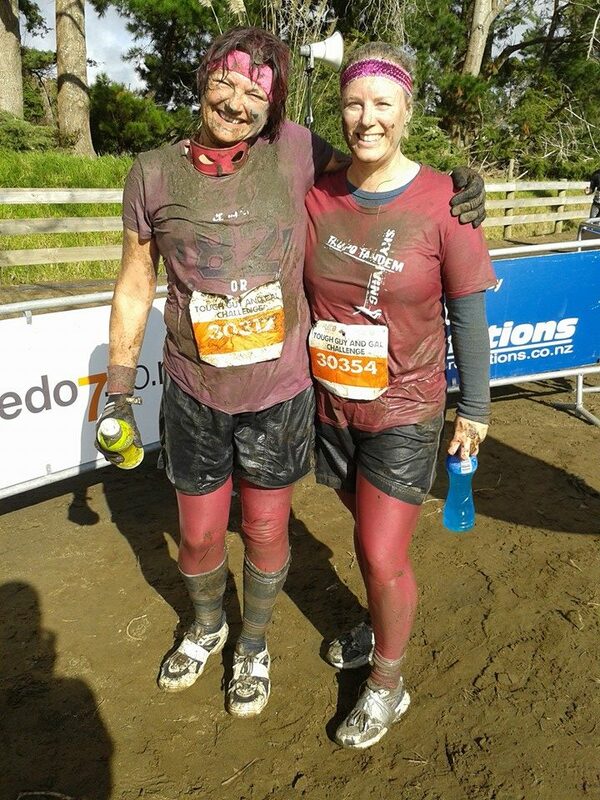 The event is run annually and just seems to get bigger every year.” Because it’s such a cool, fun event to take part in, Tania thought that other YMCA Auckland members might want to join her team and give it their best shot. 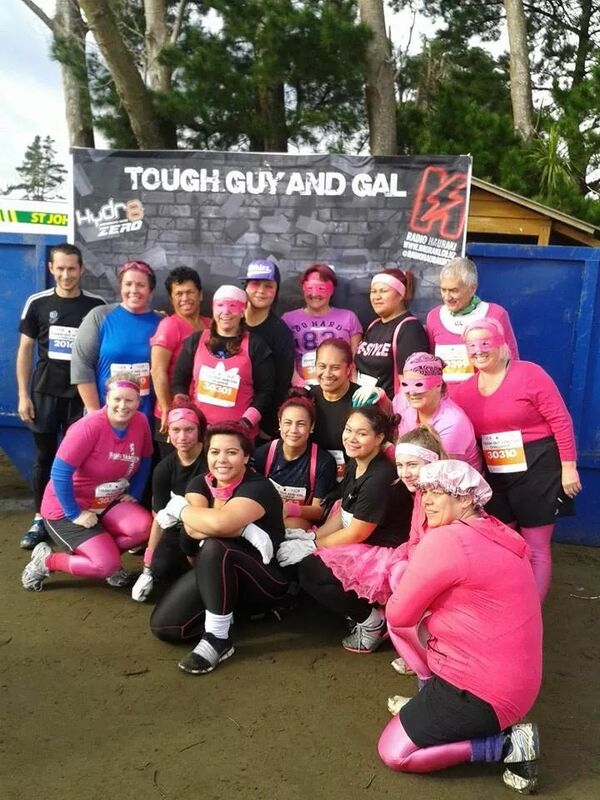 In addition to her 14 Life-Style ladies, four other YMCA Auckland members were brave enough to sign up. The contestants could choose to take either the 6km or 12km route through the mud, but only one member, Simon Mills, decided to tough it out the full distance. In an incredible effort, he managed to not only finish the race, but also take first place! He made the trek in just over an hour (61 minutes, to be precise). Another surprise came from John Edwards, who at the age of 73 years opted to get down and dirty in the thick mud. In fact, at 73 years old, that made John the oldest competitor – and it just goes to show that age doesn’t have to slow you down. Both Simon and John were awarded prizes, and the rest of the team were lucky too, taking away two spot prizes. “Overall everyone had an amazing time. It was definitely a challenge, more so for some than for others. But participation was the name of the game and everyone completed the race all in their own time,” says Tania. It really was an amazing achievement to get through, and everyone has earned themselves the title of ‘tough guys and gals’! A freak accident several years ago injured Shon Saphire so badly that he had to drop out of his studies. At the time, Shon had been well into the second year of a diploma in sports, exercise and nutrition. What made the whole thing even more gut-wrenching though, was that his age meant that he didn’t spring back easily from this setback. At 52-years-old, Shon had risked a lot to take the plunge and start studying again. Forced to slow down after his injury, Shon’s inactivity sent him into a “downward spiral.” Soon he was not just in poor health physically, but mentally too. Shon went into a long period of depression before realising that he needed to focus on his personal wellbeing again. It was actually a trip to the doctor that proved to be the turning point for Shon. The doctor understood Shon’s lethargy and depression, and recommended that he try out the ‘Green Prescription’ programme. Lots of people go through ‘health kicks’, and train intensely at the gym for a few weeks. But what makes the Green Prescription different is that they focus on integrating exercise into people’s long-term lifestyles. They make sure that people don’t fall back into the same old bad habits, so when Shon went along, the trainers looked at what kind of exercise regime would suit him best. As part of his gym routine, Shon has become a regular face at the Mt Albert Recreation Centre. The centre, like other YMCA managed sites around Auckland, are proudly discounted for people in the Green Prescription programme. According to Jonathan Peddie, YMCA Fitness and Business Manager at Mt Albert Recreation Centre, their partnership with Green Prescription is natural because both parties have a similar goal of getting people fit and healthy for the long-term. Without a doubt, the Green Prescription has been a blessing for Shon. Not only has it got him back on track physically, but he’s since been able to go back to university and complete his long-awaited degree. Well done Shon! Rhiana Hart has been attending the YMCA for three years – which is quite a long time when you’re only eight years old! She attends the Holiday Programme and the After School Care Programme at YMCA Jordan Recreation Centre, where for three years now she has been learning dance skills. Recently, Rhiana and her dance troupe at the YMCA had an excellent opportunity to show off their dance moves to a crowd. (Read more) The youngsters got to dance at a conference for the ECE and OSCAR Managers from all of the YMCAs around New Zealand. The dance group from the YMCA Jordan Recreation Centre was chosen as they had already been working hard on a dance performance. Rhiana and her fellow dancers performed three dances in total. Not only that, but one of the dances that they performed was actually choreographed entirely by them! The kids spent a lot of time putting it together at the After School Care programme, and also dedicated their little hearts to it during their lunch times at school. Although Rhiana is normally a bit shy, she says that she was happy to perform in front of a crowd. Rhiana’s favourite part of the After School Care programme is dancing, so she was glad to have the chance to show other people what she can do. YMCA Auckland is excited to announce a new membership for families, giving families a place to connect with each other through physical activity. Alarming statistics show that 10% of Kiwi kids aged 2-14 are obese, and this number swells to 28% in adulthood. Many obese New Zealanders succumb to type 2 diabetes, which can be life-threatening if not managed. With fifty new diagnoses a day, type two diabetes now affects more than 225,000 people. While some of this can be attributed to individual choice and lack of education, extra pressure is being placed on families through social change, including more television channels, cheap fast food, social media and online environments. These social and health issues are inextricably linked, highlighting the impact that living in a hyper-connected yet isolated world is having on families. While government crisis manages this epidemic on a large scale, a not-for-profit and well-known family community organisation is seeking to plant the seeds of hope and health for families in local communities. YMCA Auckland seeks to bridge the gap between family members through physical recreation, creating an environment where the whole family can come together, sharing the same car ride, and enjoy physical endeavours under the same roof. Within an inclusive, encouraging environment, YMCA Auckland wants to foster a love of physical pursuits for all families while connecting and strengthening bonds between members who may have have become disconnected over time. Aggregating all of YMCA’s products and services, YMCA Auckland has recently introduced its new Family Membership, which allows families to participate and use YMCA facilities as a family. Underpinning YMCA’s ‘Strong Kids, Strong Families, Strong Communities’ ethos, the membership aims to encourage participation and a love for being active and physical activity pursuits amongst families. No other organisation or commercial business in Auckland offers families an opportunity to come together ‘under one roof’, showing that YMCA Auckland is serious about combating the obesity, diabetes and social change epidemics which are taking their toll on New Zealand communities. YMCA programmes and services support family members of all ages from 6 months to adults or the elderly who are young at heart. Alongside childcare facilities on-site, K-Club, akids fitness club has been introduced for children aged 5-12, incorporating active games aimed to develop social skills, communication, teamwork and physical coordination. Sports and physical recreation programmes are available for children aged 1 through 12 including basketball, soccer, and gymnastics sessions. Youth based activities includes fitness, or youth can get involved in Raise Up, YMCA’s youth programme run by youth, for youth. For parents, fitness class schedules will include family-friendly group classes, such as Zumba, boxing or Pilates in a modified format to be suitable for parents and children; with community consultation open to assess the needs of the community. YMCA’s Never 2 Old programme focuses on practical fitness for older citizens, ensuring all family members are served in an inclusive environment. For YMCA Auckland’s Family Membership, a ‘family’ is defined by co-residence. “Family units today are diverse, and as such, YMCA Auckland wants to acknowledge this diversity by offering an all-inclusive membership that takes into account all types of families,” says Russell Berg, YMCA Auckland’s Marketing Manager. Family Memberships launch at all Auckland YMCA centres, including Hamilton YMCA, on 3 May, and it is the hope of YMCA Auckland that families will embrace physical recreation together, enabling the formation of healthier within family units, while bringing family members closer through shared activity. Teenage years are often troubling times, and 17-year-old Aravanh was no exception to this. His mother worked long hours to support him and his two brothers, so Aravanh was left alone for long periods. Plus the holidays could be lonely times for the family, since his mother would often fly back to her native home in Thailand to visit relatives. Aravanh was naturally shy and quiet. He lacked confidence. However, the same could not be said when he was around his friends – then he would often be loud and disruptive, much to his teachers’ annoyance. Eventually, Aravanh made the decision to join YMCA Auckland’s Raise Up programme, a youth development programme, which put him onto a completely different path. Josh, one of the YMCA Auckland Raise Up leaders at Onehunga, started to spend time hanging out with Aravanh. Josh inspires Aravanh to be the best he can be. The two have forged a strong bond, and when Josh found out that Aravanh was going to be alone at Christmas, he even picked him up and took him down to his family’s place in Hamilton. Since being a part of YMCA Auckland’s Raise Up programme, Aravanh has done incredibly well for himself. He has developed good friendships (to his teachers’ collective relief and surprise!) Aravanh has lots of goals and purpose in his life now, and is actively involved in a number of after-school activities. He’s particularly involved in the Hip Hop dance scene, and enjoys competitions. 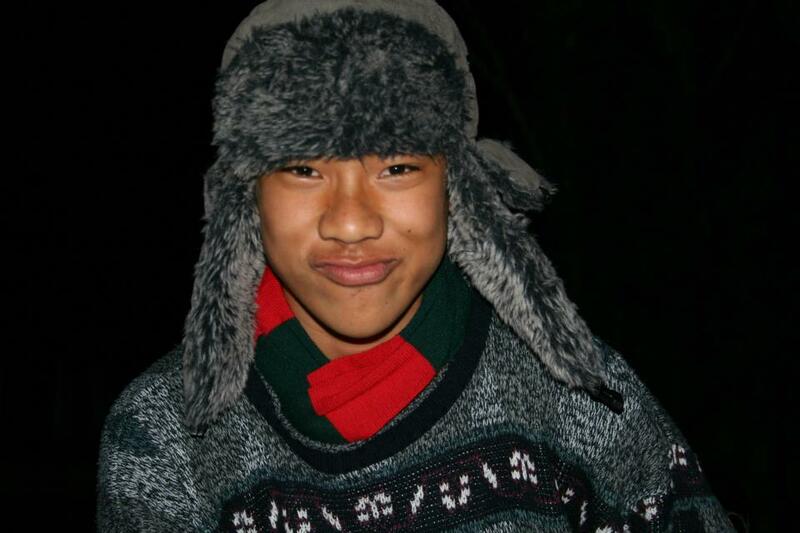 In a lovely turn of fate, Aravanh is now a leader in the YMCA Auckland Raise Up programme too. 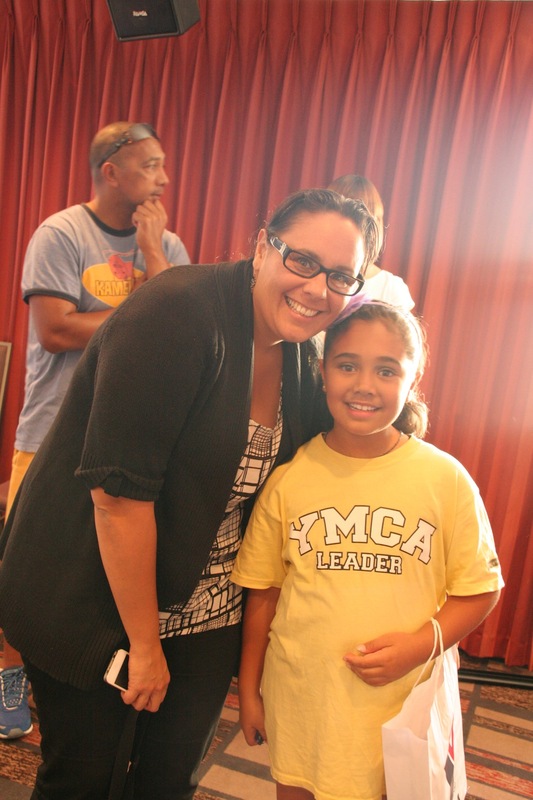 It’s just another example of how YMCA Auckland is building stronger kids, stronger families and stronger communities. The aubergine (otherwise known by its lesser exotic-sounding name, the ‘eggplant’) has an intriguing history. Early aubergines that were introduced into Europe were not well liked. – these early varieties tended to taste quite bitter, and quickly developed a bad reputation. They were unfairly maligned, and bizarrely, were accused of causing all sorts of ailments – from insanity to leprosy and cancer! 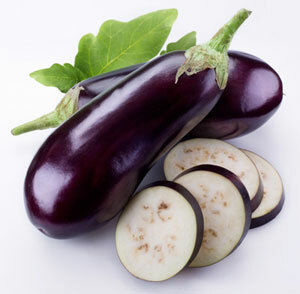 Aubergines are a member of the nightshade family, grouped alongside capsicums, tomatoes, and potatoes. They are a beautifully decorative plant, with strikingly glossy purple flesh. The Europeans capitalised on their unusual appearance and added aubergines to their gardens for decoration. In the 18th century, new varieties were introduced that were less bitter than their predecessors. The humble aubergine quickly became a much-loved vegetable, and it is now an important ingredient in many European and Middle Eastern cuisines. Far from the poor reputation that they initially developed, the aubergine is actually full of minerals, vitamins, and dietary fibre. They are also low in fat, and clinical trials show that it lowers cholesterol and can further weight loss. The deep, rich purple skin contains a lot of nasunin, which is a potent antioxidant and free radical scavenger that helps protect against the deterioration of brain cells. Aubergines come in a variety of sizes and colours. You will have most likely seen the plump, violet-coloured aubergine that comes from North America. But in fact aubergines vary a lot in terms of their shades and shapes. They can be round or cylindrical, and come in vivid shades of lavender, orange, yellow-white, or jade green. The inside flesh is usually cream-coloured, with a spongy texture. There are lots of things that you can do with the aubergine. It’s a very versatile vegetable that is typically used to balance out the other flavours of a dish. The uniquely spongy texture and bulkiness of the aubergine makes it a popular meat substitute for vegetarian and vegan meals. Aubergines are a staple of many Mediterranean recipes. 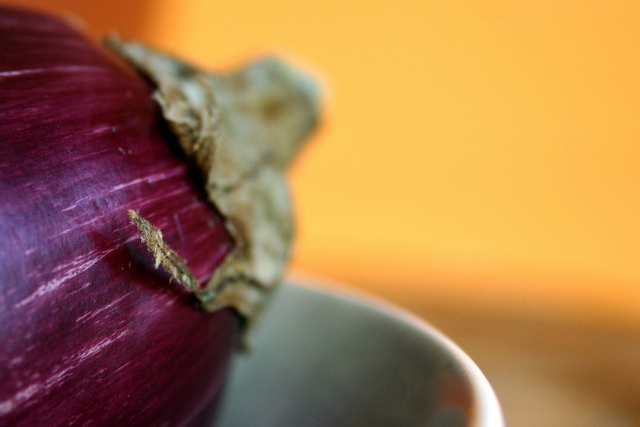 Try making a babaganoush, or use an aubergine in a good stews or dips recipe. You could even make a stuffed aubergine with some of your favourite ingredients – pine nuts, feta, tomatoes, and chopped capsicum would work well (and if you really can’t ditch the meat, throw some grilled lean bacon in there too). You may not have heard the name ‘Chunli Li,’ but in the table tennis world she is a superstar. 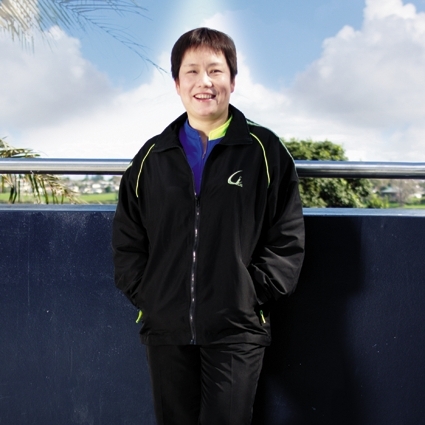 Chunli has successfully represented New Zealand in many international competitions, and she currently coaches New Zealand National Women’s Table Tennis. YMCA Auckland is also incredibly lucky to have her coaching at Auckland Council’s Lagoon Stadium in Panmure. Chunli was born in China, and moved to New Zealand some 30 years ago. Table tennis is a very popular sport in China, so it was only natural for her to give it a try as a kid. “I was playing one day and the coach said that I was good, so I got picked up.” But even her coach probably didn’t envision just how well she’d succeed. Since moving here she has won in the Oceanian Table Tennis Championship, and even competed in the Olympic Games. Chunli has also won a gold, silver, and two bronze medals at the 2002 Commonwealth Games. And she still hasn’t slowed down either! Chunli will be competing in the Oceania Cup in April, the World Team Championships in May, and the Commonwealth Games in July. Though not retired from professional table tennis yet, Chunli nevertheless spends a lot of time coaching. She has been coaching at Lagoon Stadium managed by YMCA Auckland for seven years now and has a real passion for it. In fact, she even moved from her home on the North Shore to Pakuranga so that she can be closer to the Panmure centre. It was actually Chunli herself who initiated the table tennis programme there. After seeing that the Lagoon Stadium was so big, she decided that it would be the perfect place to start up a table tennis club. So she suggested her idea to the manager, who was, of course, only too happy to have Chunli on board. One of Chunli’s greatest joys in coaching at the facility is to see the local kids join in. Rugby is often the popular choice for locals, so she is always happy to see new people want to give table tennis a shot.